This haul is actually a combination of Christmas and January. Dark Wolf by Christine Feehan ~ This is actually the 25th book in the Dark Carpathians series, my grandmother picked this up for me at Christmas. I’ve seen that it isn’t a book you can pick up without knowing the others, simply because there will be mega plot holes. Regardless, it looks like a fun series to pick up. It’s a supernatural/paranormal romance and this specific one is about two lovers that are keeping it a secret. Roseblood by A.G. Howard ~ Anybody who knows me knooows how much I love A.G. Howard. I have all of her books and novellas. Well, this particular one is a retelling of Phantom of the Opera, a Young Adult retelling that is a typical work of A.G. Howard – meaning that it’s a bit creepy, little weird and a lot wonderful. I haven’t read it yet but I’m itching to do so. The Wrath and The Dawn by Renee Adhieh ~ A retelling of A Thousand and One Nights, this young adult novel is written beautifully. I haven’t read it yet but I have read the short that takes place before this and wow Renee Adhieh can weave words like no other. I can’t wait to begin reading this. Miss Peregrine’s Home For Peculiar Children by Ransom Riggs ~ I had to get this book. Everyone is hyping it which means I’ll probably be let down, but! I had to jump on this bandwagon sooner than what I did HP… If you don’t know what it’s about it is a Young Adult Fantasy where a boy is sent to a remote orphanage after a family tragedy and he finds out that it isn’t just an orphanage…it’s full of…well peculiar children. Android Karenina by Ben H. Winters & Leo Tolstoy ~ Another book I got for Christmas. I’ve read the original and I’ve seen the movie, I’ll be interested to see how the whole android thing is woven into this story. I love Steampunk stuff! 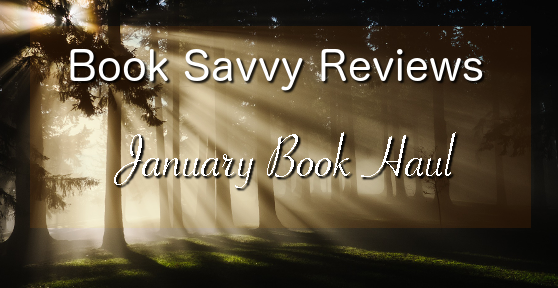 Hidden Huntress by Danielle J. Jensen ~ The second book in the Malediction Trilogy, this is the sequel to Stolen Songbird which I bought because umm the ending of Stolen Songbird left me no choice! If you don’t know what it is… It’s kind of like a retelling of The Princess and the Goblin, except these are trolls and there are troll hybrids and there is unrest in the Troll Kingdom and they want to break a curse that was laid on them centuries ago…. Seriously, you have to read it. If You Were Here by Jennie Yabroff ~ I was sent this book by the amazing Merit Press. It’s a Young Adult novel with a really interesting premise. A little bit of mystery, a bit of possible supernatural-ness to it? Tess is a teenager who’s mother has seemed to go off the deep end as if that isn’t bad enough her best friend drops her, something horrible happens at school and everyone blames her…except she’s been having dreams…that may or may not tell the future. Warrior Witch by Danielle J. Jensen ~ Third book to the Malediction Trilogy… Yes, I went on a sequel/series buying binge. No judging, please! Forget Tomorrow by Pintip Dunn ~ I received this from the author, this is a really interesting Young Adult Fantasy-Dystopian novel. I started reading it and I have to finish! Every sixteen year old awaits their seventeenth birthday because they receive a vision from their older self and a message to show them what they will be and what path to take, but when Callie receives hers it isn’t at all what she anticipated… she is a criminal and more than that she killed her baby sister, a sister she loves. Interesting, right? So, there you have it, my book haul from December & January. What did you pick up? So jealous! Whenever someone says they don’t know what to get me I just stare at them. Books is always the answer.